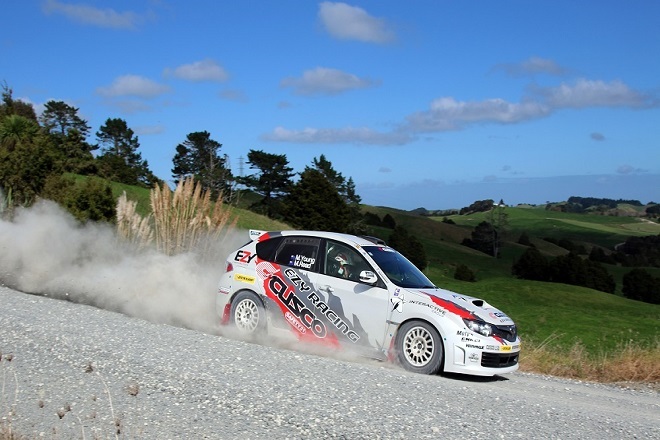 Whangarei, New Zealand — EZY Racing’s Mike Young, the youngest driver in the FIA Asia Pacific Rally Championship (APRC), made a strong come back after being classified last on day one to finish third overall at the first round of the championship held at the International Rally of Whangarei this weekend. 23 year old Young showed tremendous pace during Fridays Recce run where he raised hopes of a miraculous victory against the superior MRF Skoda R5 team. Unfortunately, local favourite Young had his hopes for a good finish fade after an electrical problem with his Cusco EZY Racing Subaru Impreza meant the car lost all power at the start line of the first Super Special Stage on Friday night. Young was forced to miss the stage and incur the subsequent 14 minute time penalty to get valuable championship points. “This is obviously a disappointing start to the rally for us. We’re still not entirely sure what happened but as soon as we turned the spotlights on, the car just died. The team at Cusco are working on it and we’re sure it’ll be ready to go again tomorrow,” said a hopeful Young, on Friday. However, The Kiwi Duo Mike Young and Malcolm Read with their ‘mad skills’ fought back hard to gain new ground with a strong display of the Sri Lankan team’s passion and guts. Young and co-driver Read managed to take several outright stage wins which surprised many as the MRF Skoda R5’s were far superior to Young’s Cusco Prepared EZY Racing Subaru. Young, battled his way through eight stages to be placed third, only 14 minutes and 10 seconds behind race leader Gaurav Gill, making those wonder if Young could have won the rally if not for the unfortunate 14 minute penalty on day 1. The Sri Lankan Team which is powered by Cusco moved up the leader board as through sheer speed and pace, making it a great comeback from Mike and noteworthy first day for EZY Racing in Whangarei. A thrilled young commenting post-race day 1 said “I’m pretty happy with climbing up all the way to third, after the disappointment of a 14 minute penalty. I think we showed pace this weekend and won quite a few stages. 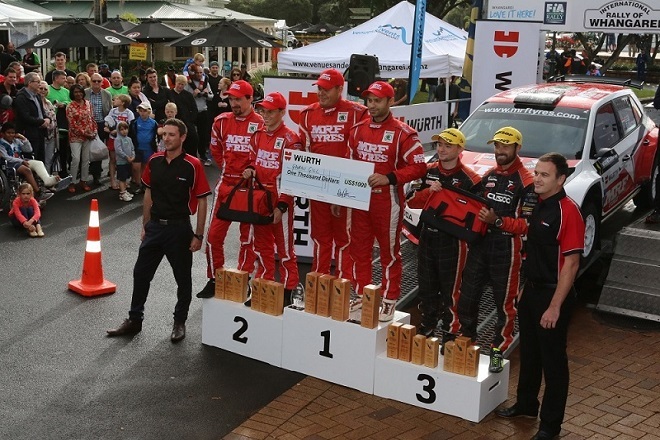 With road conditions changing several times throughout the weekend, from dry and dusty on Saturday, to wet and muddy on Sunday, Young and Read were able to stay consistent due to the near-perfect set up of the Cusco EZY Racing Subaru Impreza. EZY Racing Team who since partnering with Cusco and Mike Young in 2015 have had a podium in every International Rally they have completed were given a strong start for the 2016 Rally Championship. Despite being in a heavier and slightly less-powerful car than the brand new Skoda R5’s, Young managed keep up pace with his phenomenal driving skills and may have been placed as high as second without the penalty, and with a potential shot at victory in the season opener in New Zealand. “Obviously the penalty was hard to swallow because we might have finished further up the podium, but I know I’ve done my job and I’ve been driving quick all weekend. We will be back again to fight for another podium, and Australia is always a round I enjoy.” said Mike. The next round of the Asia Pacific Championship Rally is based around Australia’s Sunshine Coast at the International Rally of Queensland on 18 and 19 June. 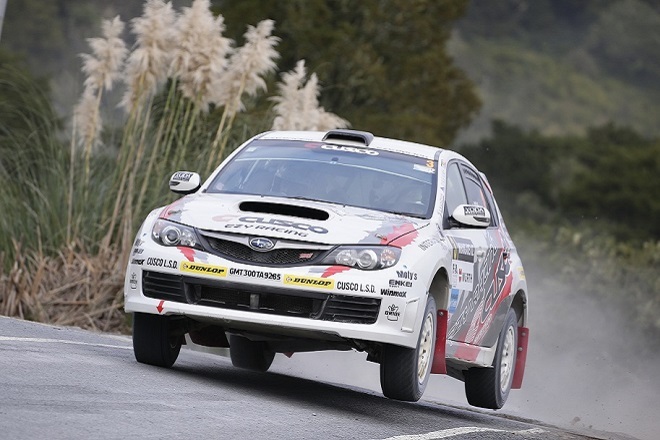 It is the second round based in the Pacific region and will see crews battle it out over 16 closed special stages across 240 kilometers.